The Elementary Education Course is designed for students with an interest in preschool and elementary level education. The course features an extensive in-school component across all four years to complement theoretical studies, including teaching rounds in Years 3 and 4. Experienced instructors encourage students to apply clinical techniques to learning and research. The course prepares students for qualification as a Class 1 teacher at preschool, elementary school and/or special needs school. The Elementary Education course is designed for aspiring preschool and elementary school teachers, while the Preschool Education course is intended for preschool and childcare workers. 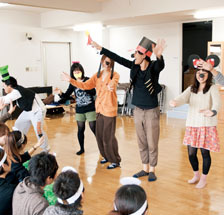 Through affiliations and volunteering programs set up with Teikyo University Elementary School and Kindergarten as well as kindergartens and childcare centers in the local area, the two courses offer many opportunities for direct participation to gain valuable experience and develop skills and competencies as an educator. In Year 1, students learn the basic principles of education and develop an understanding of how young children think and feel. The curriculum includes theoretical and practical studies in elementary school and preschool teaching. Year 2 introduces more in-depth topics such as teaching methodologies and modern teaching and education subjects. Year 3 extends to lectures and practical exercises, including specific theories and methodologies. Students aspiring to the teaching profession undertake training at external educational institutions and gain practical experience in areas such as nursing care in preparation for the accreditation examinations. Year 4 is spent preparing for vocational testing and accreditation examinations and pursuing a research project for graduation. 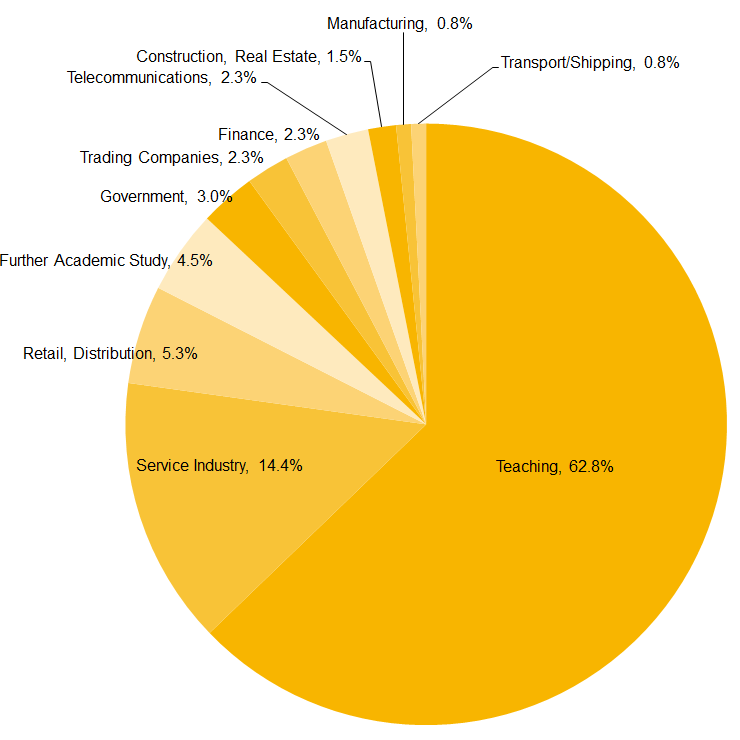 More than 60% of students go into teaching. The Preschool Education course prepares students for a career as a preschool teacher or childcare worker. With educational subjects such as psychology, it equips students with the capacity to respond to the many and varied challenges of early childhood education. Students have the opportunity to volunteer at childcare centers and kindergartens to gain valuable experience in a real-world setting. The course leads to qualifications as a childcare worker, a Class 1 teacher at preschool and/or special needs school. The Elementary Education Course is designed for aspiring kindergarten and elementary school teachers, while the Preschool Education Course is intended for kindergarten and childcare workers. Both courses offer opportunities for hands-on experience through affiliations and volunteering programs set up with Teikyo University Elementary School and Kindergarten as well as kindergartens and childcare centers in the local area. Year 1 looks at the basic principles of early childhood education and key concepts in how children process information. Students will also get an introduction to subjects specifically related to the role of childcare workers and kindergarten teachers. Year 2 introduces in-depth subjects encompassing theoretical knowledge and teaching methodologies, as well as subjects tailored towards specific qualifications. Year 3 focuses on practical training and exercises predicated on an actual teaching environment. Students complete an external internship program and complete a nursing care training module at an off-site facility. Students complete teacher training and school internship components specific to their intended vocation in order to hone their teaching skills and competencies in the real-world environment, and also complete a research project on a nominated topic for graduation. Some students become nursery school teachers, while others go into industries outside of teaching such as the service, retail and distribution industries.